Friendly helpful staff. Great kitchen facilities. I liked a lot the style of the traditional hotel! Recommend it to everyone ! The location was great and the lady in the reception was really nice and helpful. A lot of restaurants around and few minutes walk to tourist spots. Breakfast was nice with nice interior. Kitchen available in the room. 24/7 reception. Great closed paking availbale. Quite warm in the room in winter time. Thick walls - neighbors were not heard at all. The receptionist is really very nice, friendly and helpful. She speaks very good English. The hotel location is also very good. The station for tram # 22 or 23 is just a few minutes from the hotel so it is very easy to go to castle and Charles Bridge. Lock in a great price for Anyday Apartments – rated 8.9 by recent guests! Anyday Apartments This rating is a reflection of how the property compares to the industry standard when it comes to price, facilities and services available. It's based on a self-evaluation by the property. Use this rating to help choose your stay! 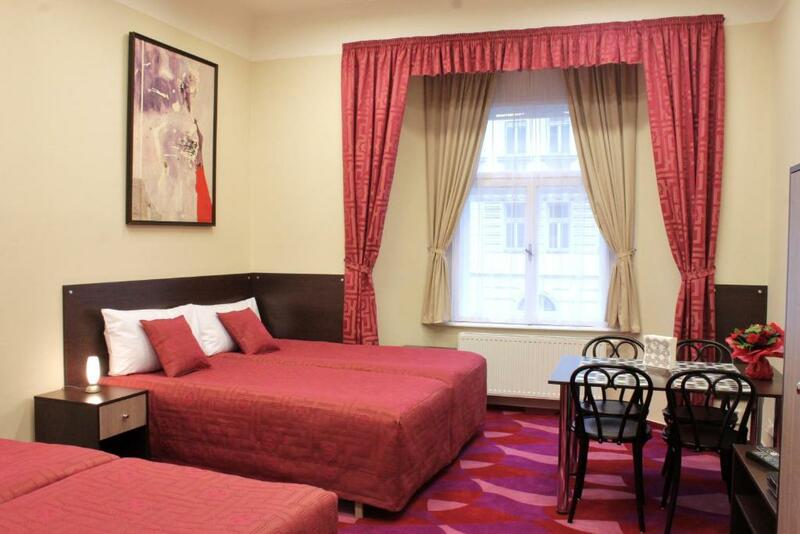 In the very center of Prague, less than half a mile from Wenceslas Square, Anyday Apartments offers free Wi-Fi. There is on-site parking available and all main attractions are easily reachable by foot. Buffet breakfast is served every morning at the Anyday. Apartments are newly decorated. They include a flat-screen TV, a sitting area with a desk and an equipped kitchenette. Private bathrooms offer free toiletries and a hairdryer. Many various restaurants, coffee bars and shops can be found around the hotel. The botanical garden is half a mile away, while the Folimanka Park with a vineyard is less than half a mile from the property. The nearest grocery store is just 300 feet away. The subway and tram stops at I.P. Pavlova are a 2 minute walk away. Prague National Museum is less than half a mile away. Airport shuttle transportation can be arranged upon request. Prague Airport is 11 miles from the property. 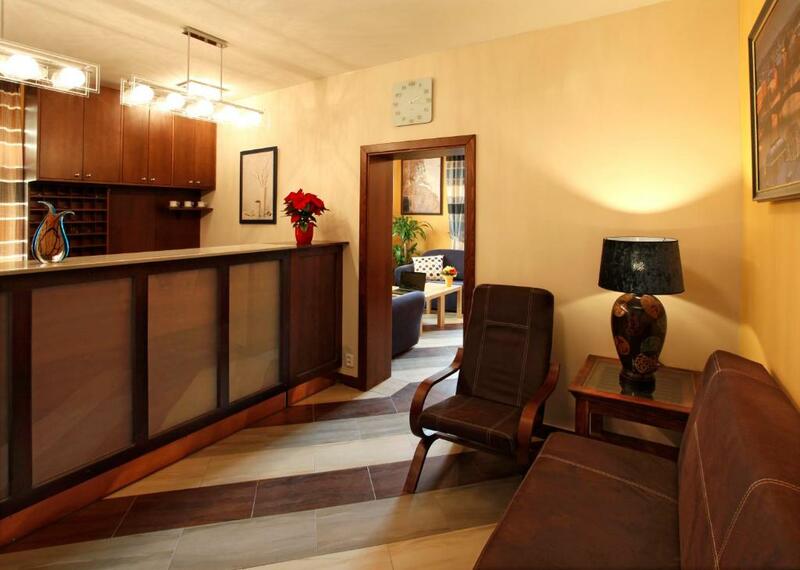 뀐 Located in the top-rated area in Prague, this property has an excellent location score of 8.8! When would you like to stay at Anyday Apartments? Fully equipped studio with double or single beds, a kitchenette and a dining area decorated in elegant colors. Private bathroom with toiletries is provided. Some rooms have air conditioning and some have a fan. 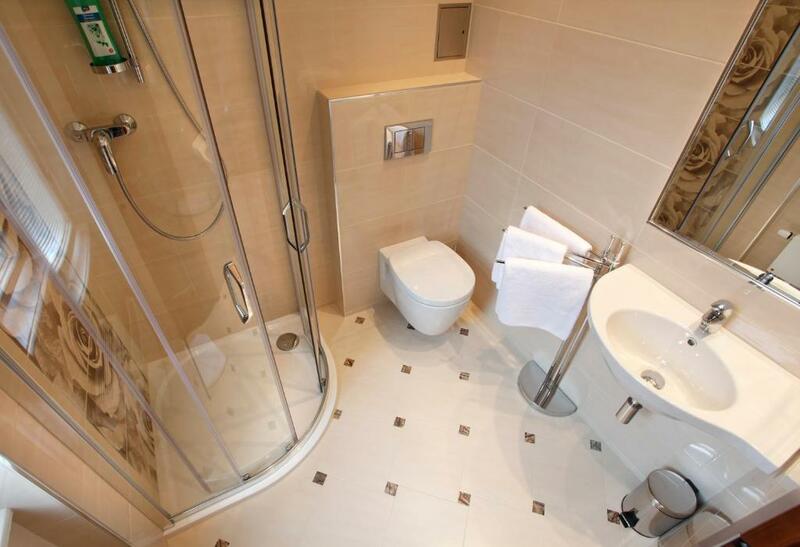 Spacious apartments featuring a full kitchen, an LCD satellite TV, a safe and a private bathroom with toiletries. Fully equipped studio with double or single beds, a kitchenette and a dining area decorated in elegant colors. 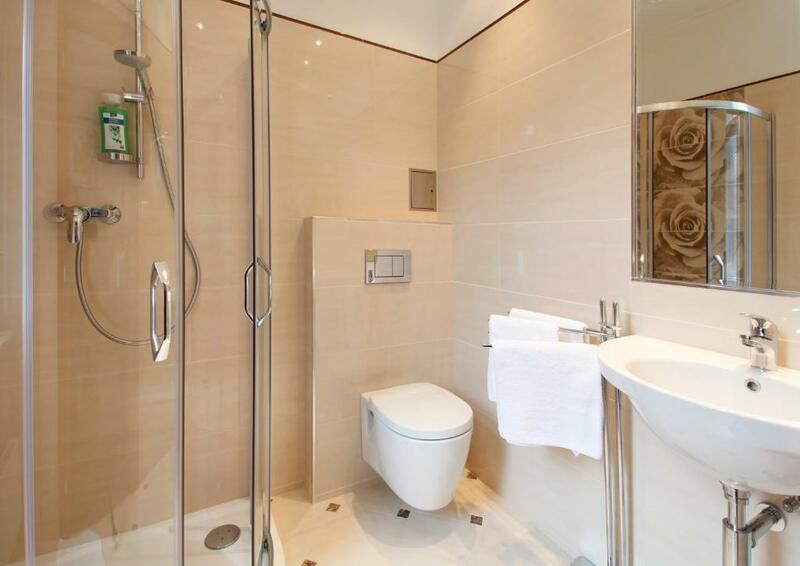 Private bathroom with toiletries is provided. 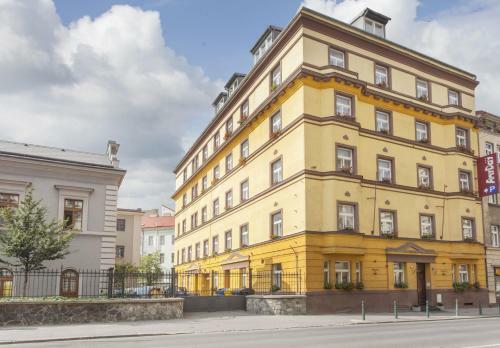 Spacious apartments featuring a full kitchen, free Wi-Fi, an LCD satellite TV, a safe and a private bathroom with toiletries. 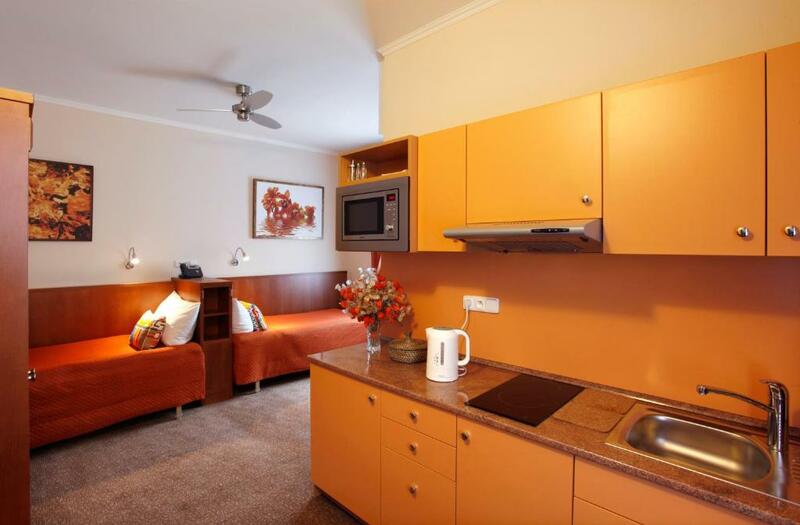 Fully equipped studio with a kitchenette and a dining area decorated in elegant colors. 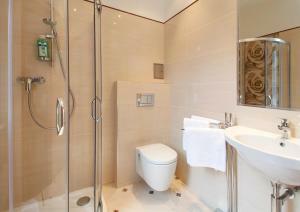 Private bathroom with toiletries is provided. We are independent family-run Apartments established in 2012. Our goal is to make our guests feel like being at home. Our smiling friendly reception staff is happy to talk with every guest and accommodate all your needs to make your stay memorable. Area Info – This neighborhood is a great choice for travelers interested in beer, walking and architecture – Check location Great location - show map Guests loved walking around the neighborhood! House Rules Anyday Apartments takes special requests – add in the next step! Anyday Apartments accepts these cards and reserves the right to temporarily hold an amount prior to arrival. Please note that large private gatherings are not allowed to be held in the apartment. Please inform Anyday Apartments of your expected arrival time in advance. You can use the Special Requests box when booking, or contact the property directly using the contact details in your confirmation. Lack of housekeeping in the three days. The sink gets full of water easily being unable to filter it. The bed was comfy and room was nice for staying some days. Bed was the most uncomfortable bed I’ve ever slept in. The pillow was feather and I’m allergic to them but wasn’t offered an alternative. The room was a little outdated as well as the bedding. It's hard to open the bathroom door from the inside so make sure not to close it when using the bathroom. The room was perfect. I love this hotel. Feel comfy to stay there. The apartment has every thing we need. The staff are friendly and helpful, they can even exchange the money for you. Good location, very nice staff, clean and comfortable rooms, good breakfast! It was an excellent choise!